With so much going on at Jung Suwon, it’s hard to know where to start! Let’s focus on testing – we just had one about 10 days ago, and it was, as always, a most wonderful occasion. 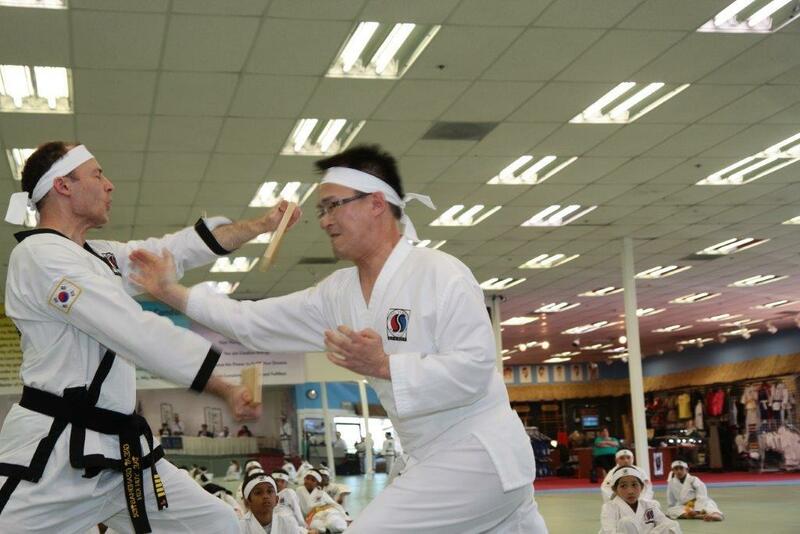 Great Grandmaster Tae Yun Kim was guiding her students through some amazing accomplishments. 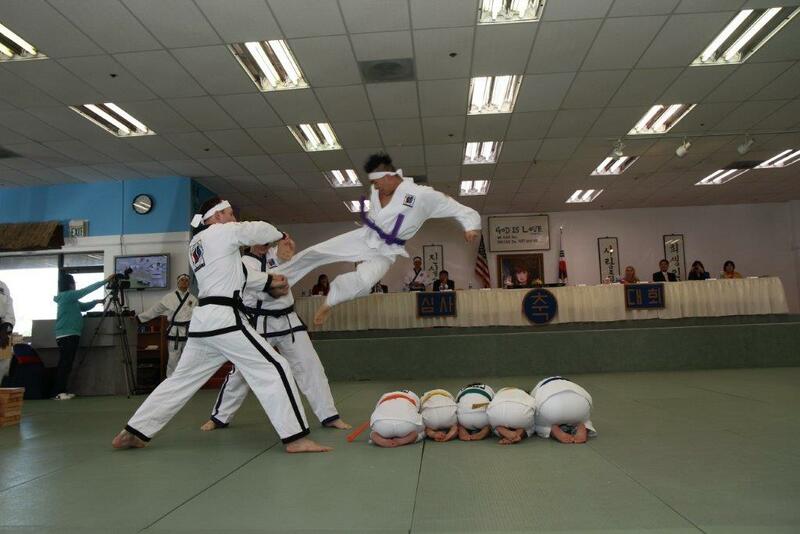 In the picture above, you see purple belt Luke Amador performing flying sidekick over a pyramid of 5 people! But Great Grandmaster Tae Yun Kim emphasizes that every day is testing, not just the day we come and “perform.” Testing is an ongoing procedure, that starts when you sign up for classes, and never really stops. 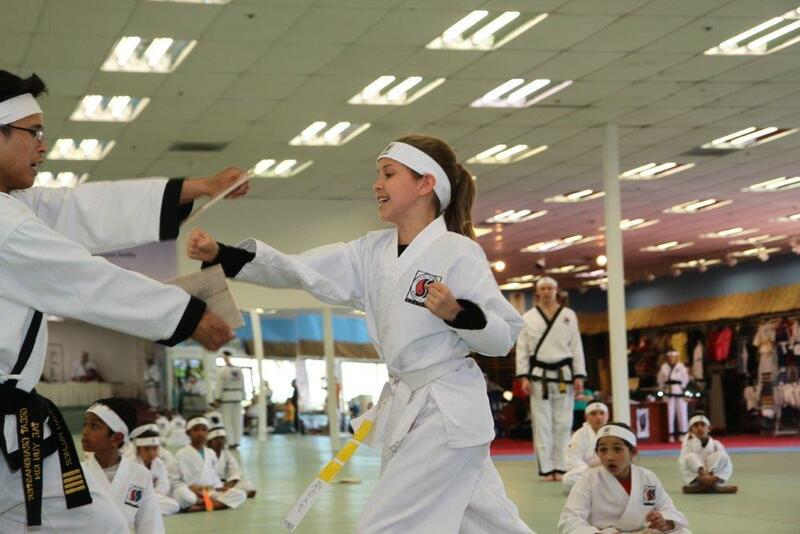 Just as in school, your final grade doesn’t hinge on only your test taking skills, so in the Martial Arts – testing day is not the whole picture. In regular school, you will be graded on attendance, attitude, homework and much more. At Jung Suwon, you will also be graded according your attitude, attendance, participation, and to some extent how well you perform at the actual testing. Basically – what you put in, is what you get out. And of course, at Jung Suwon, you will never be compared to anyone – you are an original, not a copy! You will only be compared to yourself – measured by your own progress!